One day after Brazil's oil workers went on strike, further slowing Latin America's biggest economy which was already crippled by a trucker strike that has paralyzed the nation for the past 2 weeks, the CEO of the state energy giant, Petrobras, Pedro Parente unexpectedly resigned on Friday stepping down as chief of the state-controlled oil company he helped to revive in the aftermath of the Carwash scandal, as the nationwide strike against high fuel prices has unleashed criticism against his free-market policies. Parente, 65, has become the highest-profile victim of the ongoing truckers strike against fuel prices, now in its 11-th day, that grounded flights, shuttered sugar mills, caused shortages of products from food to gasoline and is expected to lead to a steep drop in Brazilian GDP. As Bloomberg adds, "his departure marks the downfall of an executive credited with turning around a state-controlled oil company that had been shackled with debt, corruption and mismanagement." That said, it could be worse: those Petrobras 100-Year bonds due in 2115, are now at 87, down from par in January, but well above the lows of 60 cents on the dollar hit in early 2016. 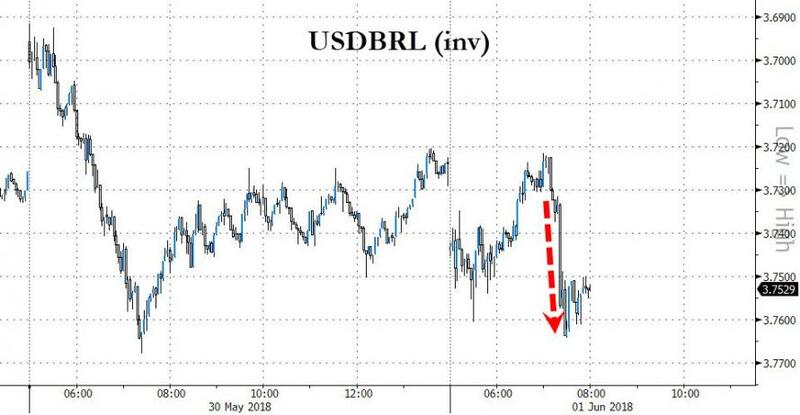 Pointing out the obvious, the President of the Lower House Rodrigo Maia told Bloomberg that "It’s not a good sign that he’s leaving" adding that Pedro Parente "has a lot of credibility and was doing a great job" something traders, suddenly panicking about what is really going on in Brazil, were clearly aware of. Parente became CEO of Petrobras in May, 2016, vowing to shift company strategy away from government interests and toward a business-oriented strategy. The former engineer was also tasked with cleaning up the image of the company that was at the center of the Brazil’s biggest corruption probe in modern history, Operation Carwash. As Bloomberg recounts, Parente gained praise in financial markets for plans to sell assets to cut debt, reducing costs, recovering cash flow and implementing a new and profitable fuel price policy. Under Parente’s watch, Petrobras posted its best quarterly financial results in five years, and the company’s stock price doubled. Ironically, it was exactly that fuel policy, which consisted in matching local fuel prices to international rates, that came under fire during a massive truckers strike that wreaked havoc on Latin America’s largest economy. And, as global oil prices rose this year, the cost of fuel in Brazil also increased, spurring discontent among consumers, led by truck drivers who depend on fuel to make their living. 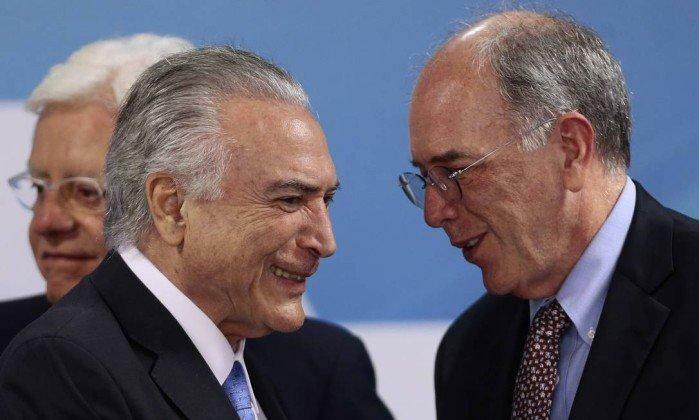 And so, less than two weeks after the strike which was launched as a result of Parente's policies, one of Brazil's most respected capitalists is out, leaving traders with the great unknown of what happens next to one of the world's export powerhouses. Meanwhile, as BBVA FX strategist Alejandro Cuadrado notes, it is unclear how the strike will end although as he warns, it would be a troubling sign to see institutions yield further to populist pressures, warning that "concessions or moves to cool short-term noise, maintains medium to long-term risks."